This is a very common meal in my household. Did you know, back when I was younger you would never catch me eating such a thing, nothing to do with fish, raw seafood, vegetables, or anything healthy for that matter actually! 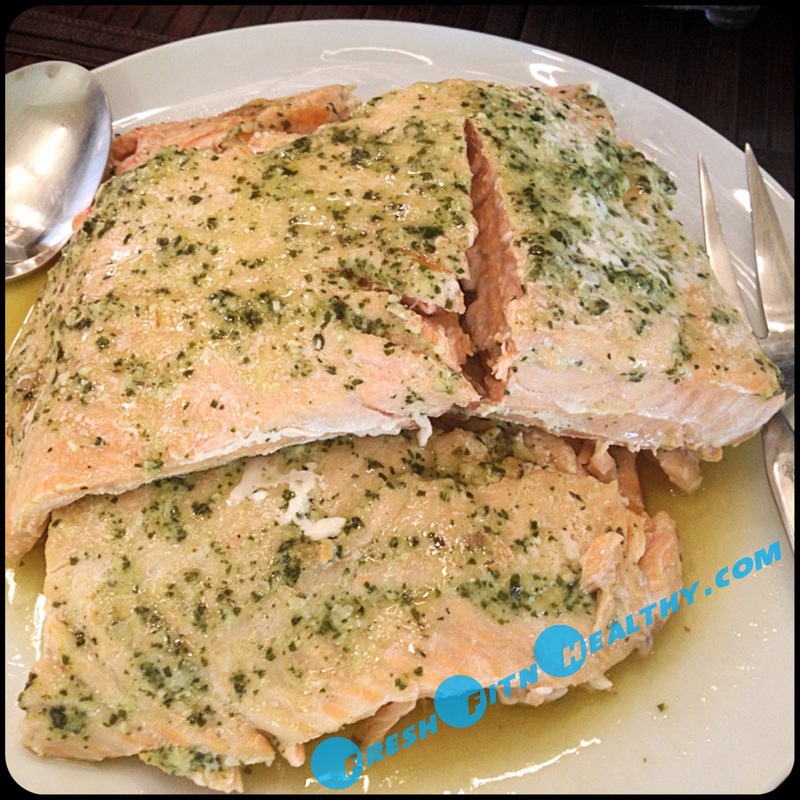 Salmon is a rich source of omega 3 fatty acid, and is an excellent source of protein as well! It is recommended to get wild salmon though, as farm raised can have high mercury levels which can be dangerous to our health in high amounts. There is so much you can do with salmon! But I usually like to keep it simple. Simple is usually the healthiest way to go. Try to avoid any cream sauces or frying when cooking your proteins. Grilling or baking is usually the best method of cooking! Most nights, I either lightly coat it with olive oil, diced garlic, and top it with sea salt and seasonings and grill it outside, or I make it this way below! Directions: Skin salmon if the skin is still on the fillet. Coat with pesto sauce. Place in refrigerator for at least 30 minutes to soak up the flavors (this isn’t necessary, but makes it a lot better!). Preheat oven to 450 degrees. 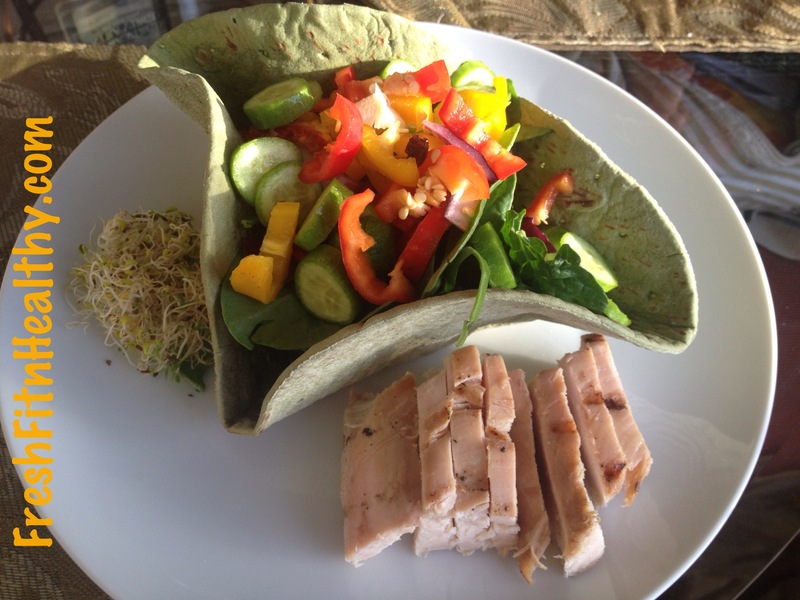 Make a “tray” out of aluminum foil for salmon and place fish inside, covering completely with foil. Bake in oven until done, about 15 minutes. Take out of oven and enjoy! This is one of the appetizers I made. 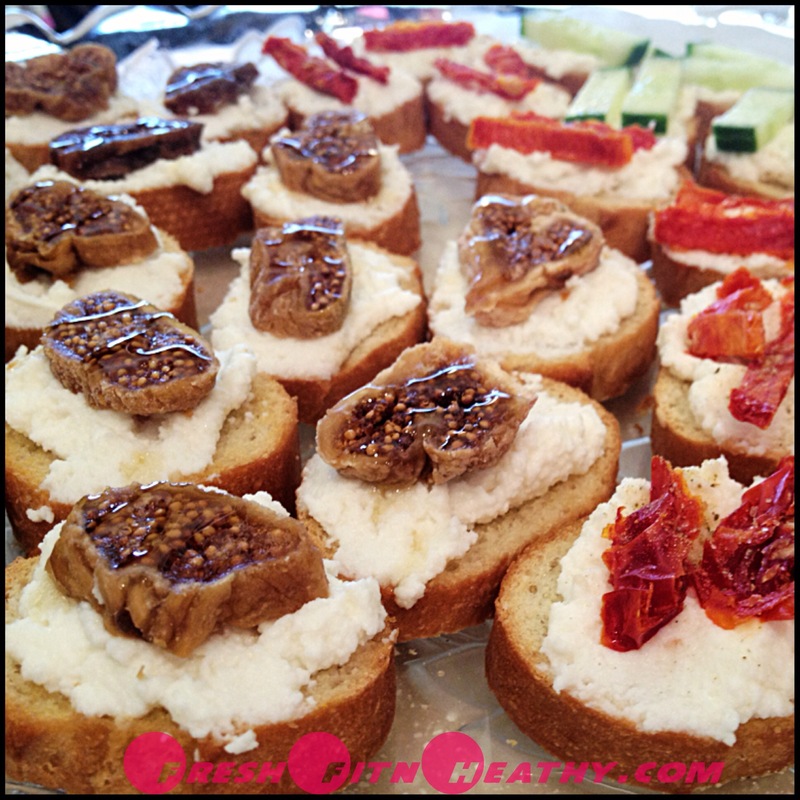 Crostinis with ricotta and a variety of toppings. I had never made crostinis as an appetizer before, but when I saw something like this on here, they just looked too good. So, I bought all the ingredients, and made a quick, easy, yet delicious appetizer that all the guests enjoyed so much. Getting low fat cheese will make this appetizer healthier than normal, and topping it with all fresh ingredients will make it even better! 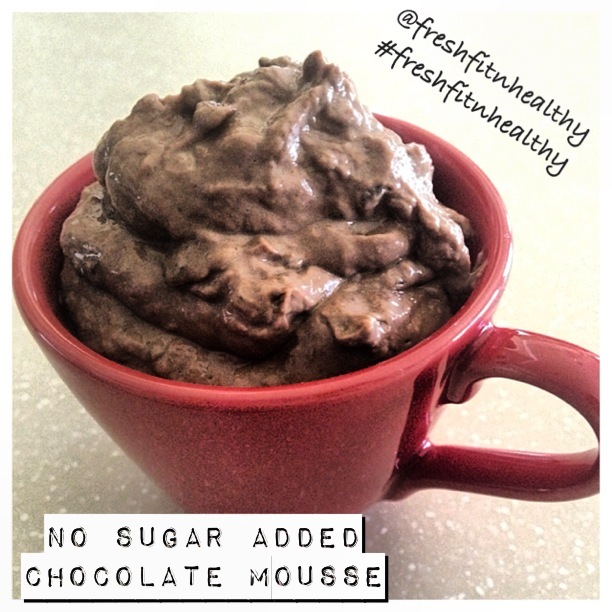 With being on a sugar detox for 21 days, I’ve made these a few more times to cut those sugar cravings :)! Great sweet and savory options. Directions: Cut loaf of bread into thin circles, about 1/2″. Spray lightly with olive oil or apply thin coat of butter and toast in oven at 350 degrees until crispy but not browned(about 10 minutes). Let cool. Top with ricotta cheese. Layer desired toppings on ricotta. Serve! Cauliflower has been the new hype in the health and fitness world lately I feel like. At first, I was quite skeptical of the foul smelling vegetable being used in recipes from pizza crust, to mashed “potatoes”, to even pancakes! But I caved in and had to attempt it myself with so many around me experimenting with it..and I was surprised! Now the first time making a pizza crust, it didn’t turn out exactly as I would have liked. 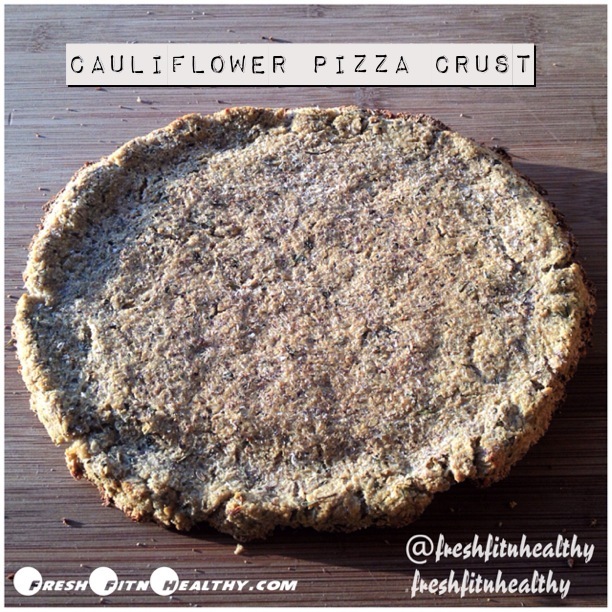 It held together for the most part, but definitely wasn’t crunchy or crust “tasting” like your normal pizza. But tonight I threw together some extra ingredients, played around with the taste, and it turned out surprisingly delicious! It’s hard when cooking with cauliflower to get it browned and toasted, but I was able to finally achieve that with this one. Sounds like a good food to be eating! You should most certainly try it! Anytime you need a more enjoyable way to serve a meal, look no farther, here it is! I’m feeling great! Once again, sitting in a 4 hour organic chemistry class without gum is harsh for me, but other than that, fruit has been enough to satisfy that sweet tooth! 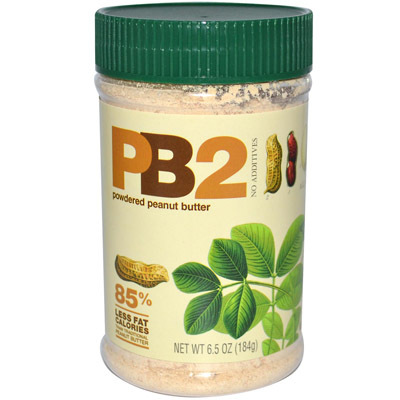 One finding from yesterday..
You know that so loved PB2 peanut flour that tastes so great?! Well now I know why. It has added sugar!! Why does everything have to have added sugar to it? I would not have used as much of this as I have in the past if I had known. Thankfully I realized this before I ruined my sugar detox! Another bad thing about pb2: It has had almost all the fat taken out, so that it is so much “lower in fat and calories”. But isn’t the reason we eat nut butters is to get in some healthy fat. I think so. And now, with this, that isn’t true. The Truth about PB2 in detail can be found here! I’ve learned it’s all about moderation. Moderation in eating the food. Not Modifying the food to make it “healthier” so we can eat mass amounts of it! There is such an over eating epidemic in the world today. By the way, things that are “low in fat” have usually had that fat replaced with sugar, so they truly are healthier for you! 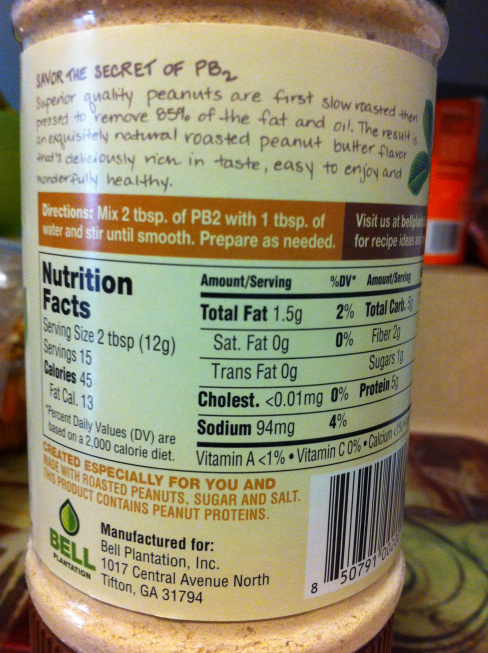 There is a peanut flour in which is truly just peanut flour, and no sugar added. Like I said, it still doesn’t have those healthy fats, but I will probably purchase some for minimal use. 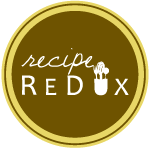 My main source of nuts will definitely be coming from real, full fat, yet raw nut butters I make at home:) That’s truly healthy! This genetically modified, sugar free, low fat stuff is not truly “healthy”. Low in calories unfortunately does not mean healthy, just like high in calories does not mean unhealthy! There is such a misconception of what healthy is today, and it has led to obesity and eating disorders of all kinds unfortunately. Today is my second day on my sugar detox, and I’m feeling pretty good! I just can’t do coffee without sweetener, so I’ve had tea these past two mornings, which hasn’t been the most enjoyable compared to my molasses sweetened Teeccino. But I managed! I woke up feeling so good this morning. I think part was definitely do to no sugar, and part of it just due to not stuffing myself before bed since I couldn’t have sugar:) Today in my summer Organic Chemistry class, I was so tempted to chew gum, I wanted it so much. One thing about me, I chew gum all the time! I usually can’t workout/run without it! So that’s definitely been one of the more tough things to give up..along with my PB2 peanut butter. Honestly, it continues to surprise me how many things have added sugar in them. This detox has made me so aware of all the added sugar these days! But, It’s been a great way to get myself eating almost all whole, fresh foods instead..since almost every packaged product has sugar! P.S. If you buy “low fat” or “fat free” products, the fat that is taken out is usually substituted with sugar. Beware of products that claim to be “healthy”! *Directions: Blend all ingredients until smooth. Food processor is best here, but if not available, high power blender is also okay. Choose any toppings you like: unsweetened coconut, peanut butter, nuts, fruit, ect. !